The Rand Corporation’s research shows that Israel could lose $250 billion (Dh919bn) over the next decade if it fails to make peace with the Palestinians and there is a return to violence. 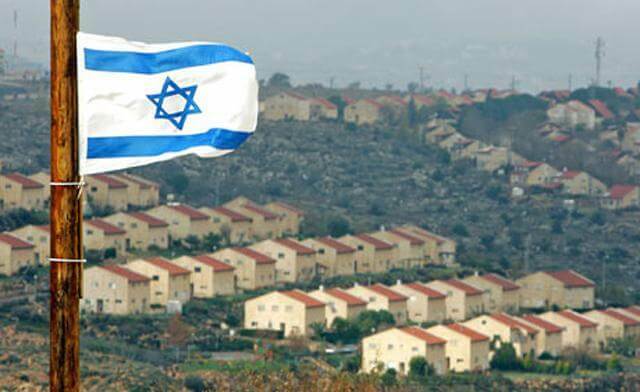 Ending the occupation, on the other hand, could bring a dividend of more than $120 billion into the nation’s coffers. Meanwhile, the Israeli finance ministry predicts an even more dismal future unless Israel reinvents itself. It is likely to be bankrupt within a few decades, the finance ministry report says, because of the rapid growth of two unproductive groups. Any explanation requires deeper analysis than either the Rand Corporation or Israel’s finance ministry appear capable of. The finance ministry report points out that with a growing population not properly prepared for a modern global economy, the tax burden is increasingly falling on a shrinking middle class. The fear is that this will create a vicious cycle. Wealthier Israelis tend to have second passports. Overwhelmed by the need to make up the revenue shortfall, they will leave, plunging Israel into irreversible debt. Any effort to dismantle the scaffolding of a Jewish state would create a political crisis. Reforms may happen, but they are likely to take place too incrementally to make much difference. The Rand report also raises the alarm. It notes that both peoples would benefit from peace, though the incentive is stronger for Palestinians. Integration into the Middle East would see average wages rise by only five per cent for Israelis, compared to 36 per cent for Palestinians. But, while economists may have been able to quantify the benefits of ending the occupation, it is much harder to assess the costs in shekels and dollars. Over the past six decades, an economic elite has emerged in Israel, whose prestige, power and wealth depends on the occupation. Career military officers earn large salaries and retire in their early forties on generous pensions. Nowadays, more of these officers live in the settlements. The army top brass are the ultimate pressure group and will not release their grip on the occupied territories without a fight, one they are well placed to win. Backing them will be those in the hi-tech sector who have become the engine of the Israeli economy. They realised the occupied territories were the ideal laboratory for developing and testing military hardware and software. Israel’s excellence in weaponry, surveillance systems, containment strategies, biometric data collection, crowd control and psychological warfare are all marketable. Israeli know-how has become indispensable to the global appetite for “homeland security”. To end the occupation would be to sacrifice all this and revert to being a tiny anonymous state without notable exports. And finally the settlers are among the most ideologically committed and entitled sectors of Israel’s population. Were they moved out, they would bring their group cohesion and profound resentments into Israel. No Israeli leader wants to unleash a civil war that could rip apart the already fragile sense of unity among the Jewish population. The reality is that most Israelis’ perception of their national interests, both as a Jewish state and as a military power, are intimately tied to a permanent occupation and the exclusion of Israel’s Palestinian minority from true citizenship. If there is a conclusion to be drawn from these two reports it has to be a pessimistic one. Israel’s internal economy is likely to grow gradually weaker because both the ultra-Orthodox and Palestinian labour forces are underutilised. As a result, the focus of Israel’s economic interests and activity is likely to shift even more towards the occupied territories.